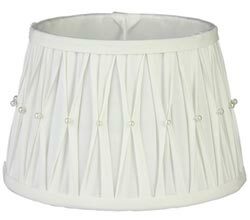 White Pleated Lamp Shade with Pearls, by Light & Living. 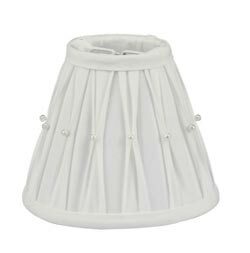 White fabric shade, with small pleated tucks and accented with mini pearls. 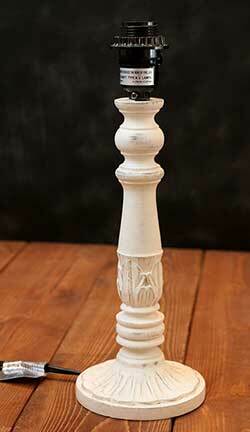 Measurements: 3 inches in diameter at the top, 5.5 inches in diameter at the bottom, and 5 inches high. Attaches via candle clip over a torpedo style bulb.